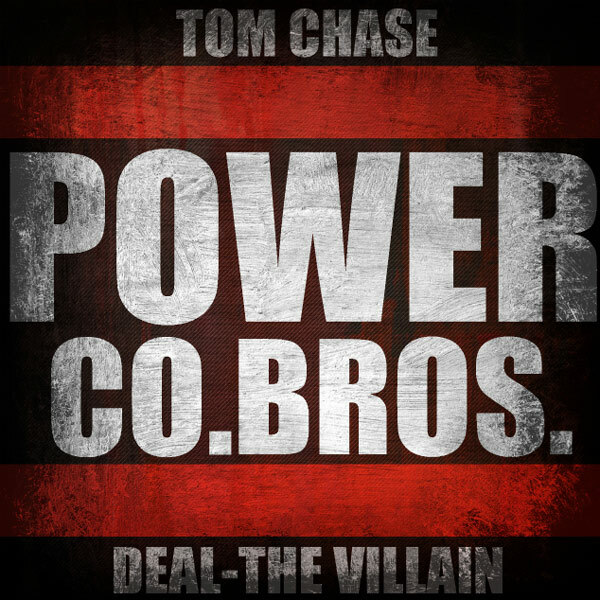 Tom Chase & Deal The Villain as Power Co. Bros.
One of my favorite NJ beatsmiths Deal The Villain teamed up with Tom Chase of St. Joe Louis for a album that packs a sonic wallop and unavoidable Jersey griminess that we all love in Hip-Hop. All produced by DTV and one by The Jake it sounds like perfect music to cause havoc with and go bombing. I hear a 100 Yard Dash Mixtape track in there (a favorite) and Kung-Fu Treachery is a familiar tune as well, after that it's all new and golden! Always a treat when Deal releases some music and Chase comes along this time to add the cherry on top, check the album below and DL then bump till the frames fall down and the broom sticks hit the ceiling.